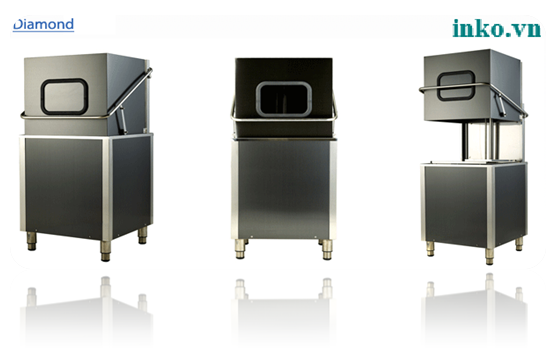 With a large capacity, integrating multiple functions in one and the suitable ability to wash for any kinds of cups, plates, cups, trays, spoons, forks ..., Door Type industrial dishwasher is the most commonly used in restaurants, hotels, hospitals, canteens and mid-sized schools. Proud of the best washing ability by using a high-pressure compressor pump so that water pressure is always strong and help to wash dishes cleanly and save energy.The pump has a high durability, quiet operation. Using easier with only one button and off Power on /off, after setting time and temperature for your machine . With clear display screen, you can see each cycle at a glance . 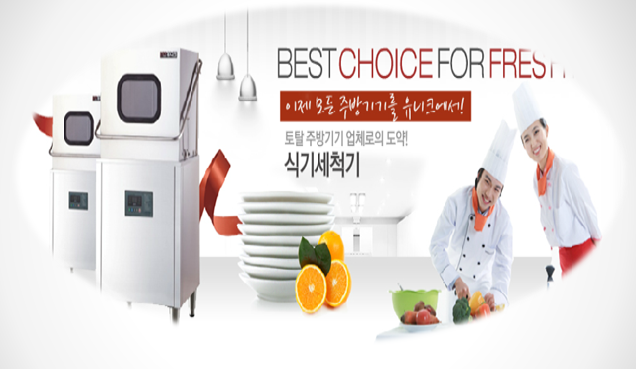 Design and Applications the firs time in Korea of System Integration of chemical quantitative pumps in dishwasher. + Automatic self-cleaning mode in washers by pressing only one button. + Mode control PCB is set accordingly, convenient to users: You can install /assembly parts of washers in anywhere. 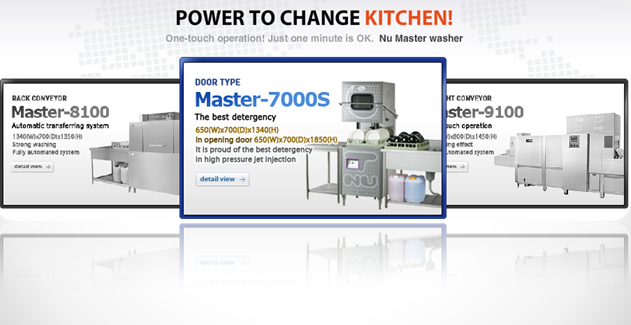 + There is no backlog of detergent: By adjusting position of sprinklers, Nu-Master ensures there is no backlog of detergent . You will probably be very impressed by the useful and simple using of the dishwasher line-Door Type type, the equipment imported from Korea. Please choose one of the models which suited to necessities and condition of your family . We purchase products in bulk, delivery and give instruction for customers. In addition to guarantee 12 months,delivery nationwide brings peace of mind for customers.